Posted by Joe Anderson in Economy and the Public Square with 5 comments. I am no socialist believer. On the contrary, I reject socialism both for its aims and for the means it proposes in attempting to achieve those aims; for its attack on the dignity of man and its disregard of the gift of freedom. That said, we are too accustomed in our rejection of one ideology to accept without examination a differing ideology. In our enthusiastic rejection of Socialism we must avoid the trap of embracing without reflection Capitalism. Unfortunately, we have become accustomed to apply the moral maxim “avoid evil, do good” to our economic philosophies, “avoid Socialism, live Capitalism.” Capitalism is not “good”. It differs in many respects from Socialism and many aspects of a Capitalist system can be good if carried out morally but it does not on the whole oppose the evils of Socialism. Very gravely I add they are not meant to be a defense of Socialism. They are merely social facts, the knowledge of which has been arrived at by a process of observation. I set them down as the astronomer tabulates and records his observed astronomical facts, not knowing what use may be made of them but feeling that it is his duty to record them whether they are used or not. A late writer in an influential Catholic review maintained that absolution could not be given to a Catholic Socialist who came to confession because the policy of the Socialist party was secularisation. The argument, couched in the accustomed forms of the schools, was very persuasive. But on second thoughts it could be seen that the premises, which served to insure the conclusion desired of the writer, would also serve to justify not a few conclusions which the writer would disown. Socialism is accused of wishing to a number of undesirable things. Indeed, the common method of disproving Socialism is to show by striking and detailed word painting that if Socialism became dominant in the Commonwealth, the state of things thereby introduced would be intolerable and even unjust. (1) One of the first charges made against Socialism is that it would socialise everything and everybody and that it would therefore make slaves of us all, or at least of all except the State officials under whom we should all be regimented, case-papered, paid, fed, tendered and buried. This argument if carefully drawn by a man of feeling can be particularly effective. It is perhaps the locus communis which for years has left me not unmoved whenever I hear it. But, on second thoughts, it appears that this inhuman programme which Socialism is expected to bring forth is already in great part realised and not by the Socialists. Mr Belloc and others who are confessedly not Socialists agree that Socialism is committed to this dismal homogeneity and slavery. But they add that it is a thing in great part and essentially realised by existing political parties. One has only to read The Servile State to be haunted by the idea that not only existing Socialism but the existing Conservative and Liberal, and Democratic and Republican parties, are committed to a programme of socialised services which rest essentially on a basis of compulsory work, i.e. slavery. Moreover, in such a thorough-going Monarchy as Germany, the number of social functions that have now become socialised are almost as many as most Socialists would claim for their Socialist State. Indeed, the formula of the most absolute monarchy “L’Etat, c’est moi” needs a change not of form but of content, to be the programme of every advanced party in modern political education. It is quite evident that this existing state of things is substantially what Socialism is condemned for proposing to bring in! Moreover, it is equally evident that the state of things condemned by the Pope is not due to Socialism; but if attributable to any party, then to Conservatives, Liberals, Republicans or Democrats. (2) A second plea for decrying Socialism is that it would secularise education. Here as elsewhere in this paper no attempt is made to accept or deny these pleas although it is well known that a large portion of the Education Act of 19021 was inspired by a leading Socialist. But anyone dread Socialism because it will secularise education? Has not education, even in these countries, been largely and dominantly secularised? In the United States public education is completely secularised. There it was a bourgeois revolution and not Socialism that brought in secularisation. In England the secular programme is officially Liberal. If, then, a Socialist is to be refused absolution because his party would bring in secularism, how can absolution be granted in England to a Liberal whose part have an equally secular programme; and in the United States, to both Democrats and Republicans, who agree in accepting and defending the present secularism? At any rate, secularism is not something future to be dreaded but something present to be uprooted. But statistics are at hand to prove that women workers are to be found in almost every sphere of labour; moreover, they have often been employed because being non-unionised they could be forced or persuaded to accept a lower rate of wages than men. This is most strongly confirmed by all kinds of investigators. Recently the Municipal Vice Commission of Chicago found that a great deal of the prostitution in their rich city was due to the abnormally low wages paid to girls in a number of employments. The present state of women is such a matter of shame that many of the arguments against the suffrage movement are pointless. But what has Socialism had to do with the degradation of women? And if Socialists are not to be absolved for a crime they have not committed, why may absolution be granted to those by whom the crime has been either committed or approved? (4) A further and most forcible argument against Socialism is that it would destroy the home. This argument is of great service in strengthening minds that see in the home the only hope of a nation’s future. Any political party that threatens the home, no matter what its claim to social service, must be looked on as anti-social. But, it may well be asked, has the home not already been threatened? Indeed, have the threats not been but too well realised and are not great masses of the workfolk wholly homeless. A room or two overcrowded with inmates can not be called a home. A house in such conditions and in such surroundings that the infant mortality is twice and thrice as much as in well-to-do neighbourhoods cannot be called a home. Yet the recent blue-book on the housing of Great Britain and Ireland has an eloquence of statistics proving that the homes of our country are not merely threatened but vigorously attacked and undermined. Moreover, to repeat the argument of the previous section, woman’s work has largely taken wives from their own homes and made them wives, not mothers. This is to destroy the home. Now this again is not a future evil to be dreaded, it is such a rooted present evil that any whole-hearted efforts to uproot it are likely to offer the features of a revolution. Yet again, not Socialism but some other political or industrial policy has set up almost unnoticed this enemy of the home. (5) Lastly, and this is perhaps the most urgent of all the pleas against Socialism, it is said that Socialism would destroy the inborn and inalienable right of property. But if the right of property means, not that some men shall own all property but that all men shall own some property, one asks ‘Where is the right of property existing in the world today?’ Is the inalienable right of property kept in a state of things where vast numbers of work-folk have not a square yard of land and are never even more than a month from destitution? Is this inalienable right a fact in a state of things where by the testimony of a Pope ‘a small number of very rich men have been able to lay upon the teeming masses of the labouring poor a yoke little better than that of slavery itself,’ and where there are ‘two widely differing castes … one which holds power because it holds wealth and which has in its grasp the whole of labour and trade, on the other side there is the needy and powerless multitude, broken down and suffering’ so that ‘some remedy must be found, and found quickly, for the misery (i.e. want) and wretchedness pressing so heavily and so unjustly on the vast majority of the working classes’. 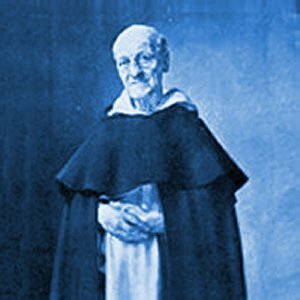 (Rerum Novarum). For injustice is the forcible taking or holding of property. And it is evident that this state, based on the violent interference with the right of property, is not in any measure due to the political party called Socialism. It must therefore be due, either in its rise or maintenance, to the other political parties which Catholics freely enter without dread of being refused absolution. As was said at the outset, this line of thought is not meant nor perhaps even fitted to be a defense of Socialism. It is merely an observed and recorded fact for the guidance of Social thinkers. If a Social thinker refuses absolution to a member of the Socialist party because the Socialist party would bring in a state of things, why does he not refuse absolution to the other political parties; for the state of things is already in existence and has been brought about or, at least, is being upheld by them? It is evident therefore that there is some flaw in the course of reasoning which would withhold absolution on a probability and give it on a fact. Either the premises are not observed facts or the reasoning is amiss. For the moment our task is to point out that somewhere there is a flaw in the chain of reasoning, with the hope that social thinkers will revise either their facts or their deductions. One lesson from this discussion; we must not accept an ideology of Capitalism as a counterpart to the ideology of Socialism. Capitalism should be for us nothing more than a set of tools to be used under the guidance of a well-informed and just economic philosophy. I have written and will continue to write here at A Sensible Life of those principles that must inform sensible economic living. Let us begin with gratuitousness. For more information on Fr. Vincent McNabb please visit the McNabb Society web-site. The article makes great points, but completely misses the most obvious one of all: what we see IS NOT capitalism, nor are these the results of capitalism. What we have is Socialism, plain and simple. The socialists have simply gotten their way under false names like liberal, progressive, monarchy, etc. The fact is that ALL forms of government are nothing but variations of socialism, whether they be fascist dictatorship, Soviet Communism or direct Democracy. Thank you for the comment. I would be interested to hear your definition of socialism. Based on your comment here and those on Twitter it appears any exercise of authority by government is an indication of socialism to you. This is a somewhat broader idea of socialism than most of us use. That said, I would prefer that the aim of the article not get lost in off-point discussions of definitions of an ideology. The aim is to point out that real societal problems already exist (existed 100 years ago). And, precisely, we should treat actual problems and attempt to live/implement real noble ideals rather than engaging in battles over ideologies (including battles over the definition of ideologies). In an economic sense, Socialism is defined as a fetish with “ownership of the means of production”. Yet, if one reads Marx, his manifesto called for much more than this. In a broader sense, socialism is “public ownership” or public meddling in the lives of others. So yes, any attempt of “authority” to enslave others is socialist in nature. Regarding your last comment, the focus should be on the fact that all claims of authority are bogus. No one has the right to rule, nor can any group of people delegate rights they don’t have (such as stealing money from others to solve social problems). Individual sovereignty (self ownership) and the none aggression principle must be the foundational elements of any just and moral society. Of course, the negation of authority is in fact anarchy. I do not think either you nor I would like to see what that would look like in practice. That said, I totally agree with you that government policies of taxation and coercion directed at correcting social ills rob us of both our freedoms and our responsibilities. I have written about that extensively here and on Twitter. This then leads us to a middle way – a constitutional state; a state whose government is carefully limited to those functions and activities necessary for its ordered exercise of the authority granted to it. This is the sort of state created by our founders. Unfortunately, as representative federalism gave way over time to direct democracy, voters learned that they could vote favors and even money to themselves and hence we are where we are. We have given over our freedom in exchange for safety, social welfare, economic “fairness”, etc. etc. etc. There are those who would say this result was inevitable. I don’t know. I like to think not and I like to think that I can do some little part to bring us back to a sensible approach to government, freedom and responsibility by working to convert individuals to a more selfless way of living in society and the public square.